The first step in your skincare regime is to cleanse. This is the most crucial step in your regime. 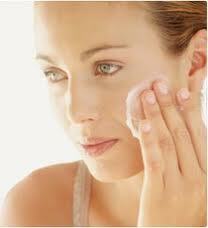 Cleansing your face removes dirt, oil and impurities - just washing your face with water is not enough. After cleansing, your skin will be clear, smooth and prepped for maximum benefits for the other products to follow. Apply your cleanser with a damp hand and massage thoroughly. Leave on the skin for a few minutes, rinse off with warm water and pat dry. Follow with toner if required. 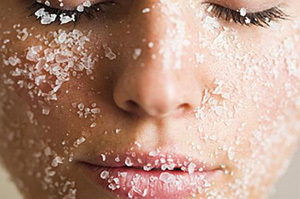 Exfoliation is essential for all skin types, whether you have sensitive, dry, oily, acne-prone skin, uneven skin tone, etc. As you age, skin cells turn over more slowly, which can leave skin dull and lifeless. Removing dead skin cells and encouraging new cell growth will reveal healthy, radiant new skin with improved elasticity. This also enables your serums, moisturisers and other skincare products to penetrate deeper into the skin surface and work more effectively. Whether it's performed once or twice a week usinghome microdermabrasion treatments, or daily using products containing AHA's, exfoliation needs to become an ongoing and regular treatment. Why do we use MASKS? An at-home weekly mask, peel or microdermabrasion treatment enhances our daily skincare regime by providing the skin with a boost. 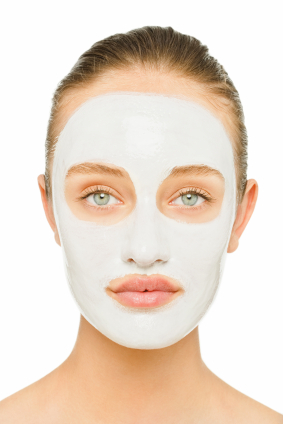 Depending on your skin concerns, masks can be tailored to your skin needs. Vitamin C is a proven, beneficial addition to your skin care regime. Using a Vitamin C serum every morning can help to promote skin rejuvenation by reversing free radical damage caused by the sun and natural ageing. It is such a powerful antioxidant with so many benefits to the skin like collagen stimulation, brightening effects, as well as being an anti-inflammatory. Vitamin C should be an essential ingredient in everyone's regime, whether you are 20 years old wishing to prevent ageing, or 50+ wishing to reverse damage to the skin. Moisturisers are vital to an every skincare regime, regardless of skin condition or skin type. We all need to apply a moisturiser daily, even if you have oily skin. Moisturisers help to control moisture loss from the skin and to protect the skin's natural defences against the environment. Our skin becomes dryer, especially as we age, as our as our natural moisturising properties become less effective at regulating the skin's water balance. Using a moisturiser on a regular basis will keep your skin looking and feeling healthy, and the more hydrated your skin is, the more effective other skin treatments become. Just remember to choose a moisturiser suitable for your particular skin type - so if you have oily skin, choose a serum or lotion which is oil free rather than a cream. Lastly and by no means least, protecting against the sun is the most important step in your skincare regime. So for all you men out there that don't like to cleanse and moisturise, please use a sunscreen if nothing else! We all know how damaging UV rays are, and over time the effects it has on our skin, including loss of firmness, wrinkles and not to mention age spots. If we only knew before what we know today! The best way to fight premature ageing and even skin cancer is through prevention. 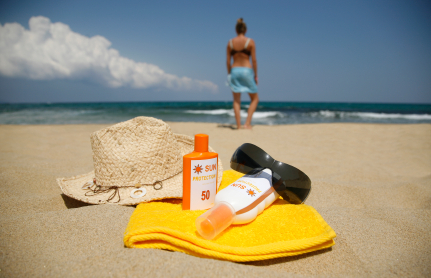 Daily application of sunscreen with an SPF of 30 or higher is essential, and not just on your summer holidays. Make sure you apply it all year round because you will still be exposed to UV rays in Winter, and even through the car window. For any particular skin concern (e.g. pigmentation, acne, sun-damaged skin, lines & wrinkles), you will need to add additional targeted treatment products into your skincare regime. If you need any skincare advice, or need help with choosing or creating a personalised skincare regime, please get in touch. An intensive antioxidant serum for environmentally damaged skin.